While we love a designer who slips into her own creations with ease, Victoria Beckham is no stranger to wearing other labels in equal measure. And we don't mind that at all — especially when she pulls off a look so wearable that we can easily take inspiration. 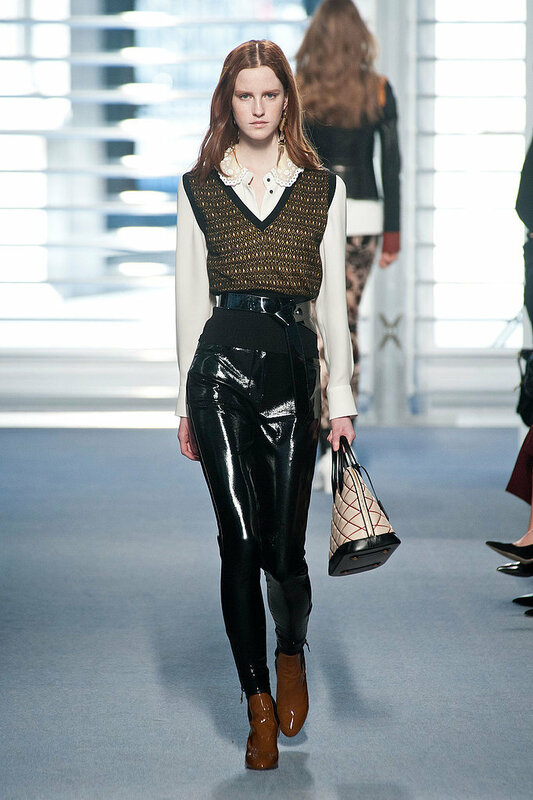 This sleeveless-vest-and-blouse pairing, which comes straight off the Louis Vuitton Fall 2014 runway, definitely fits the bill. Not only is it totally chic and on-point for Fall days — when it's too warm for a jacket but too brisk to bare your arms — it's also not something we're used to seeing Victoria in. While she usually goes for polished dresses or all-black separates, this ensemble feels nothing but fresh, with a surprising tinge of prep. Scroll down to see how the designer translated the outfit (naturally, she added a pair of heels), and then do it like Beckham and gather these totally sophisticated staples.